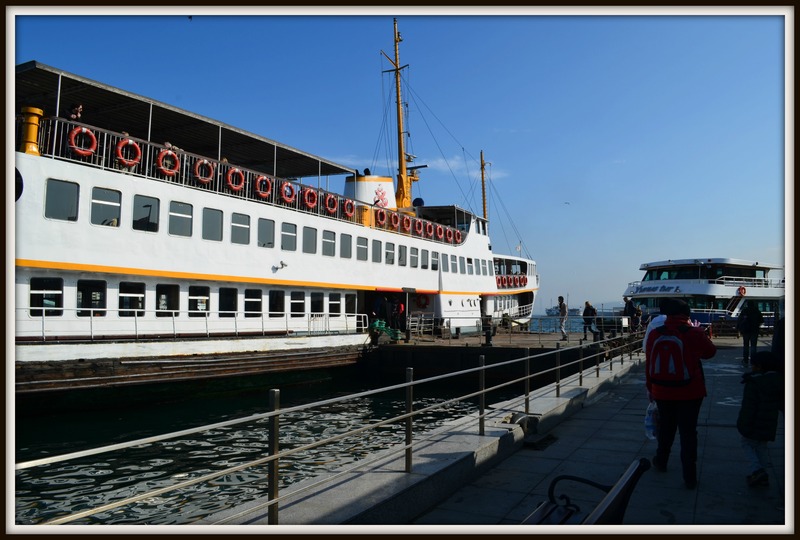 There are several tour operators that operate short Bosphorus cruises that can take you way up to the Bosphorus and back. 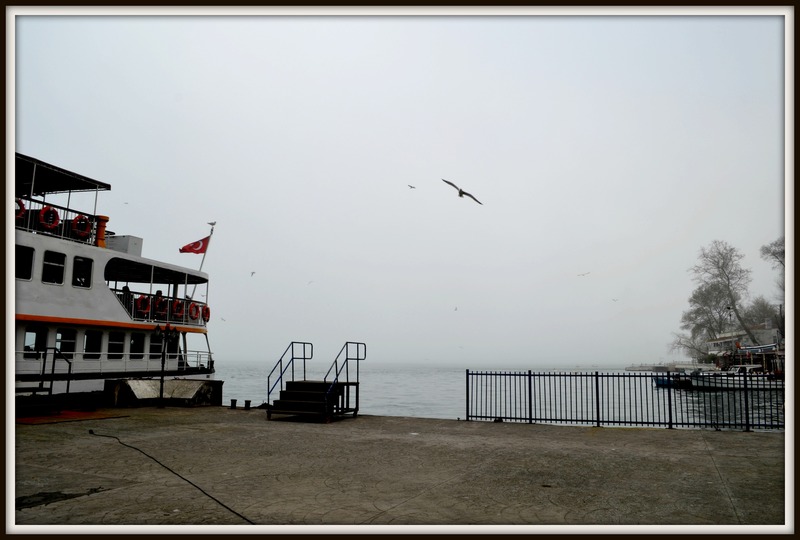 However I would advice you to take a regular Ferry, operates by the government. It is not fancy but it is acceptable and it is cheap. Ticket cost is 25 TL for a return trip. 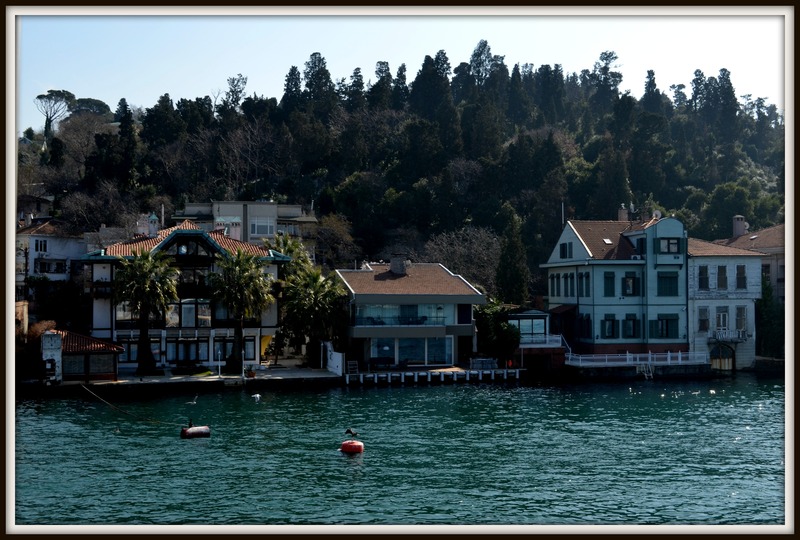 The ferries to the Bosphorus leave from Eminonu. On that particular day, we left the hotel around 09:30 (of course after breakfast!) 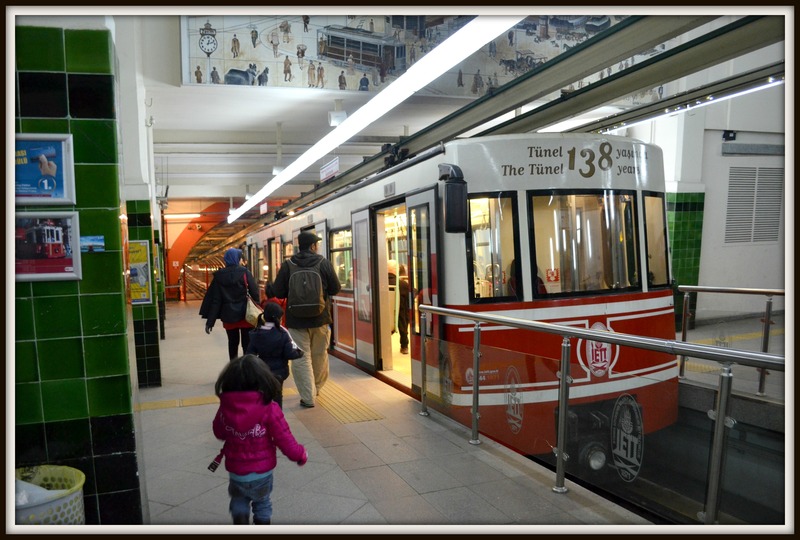 and we took tram straight to Eminonu station and then we bought the ticket at the ferry terminal. We took the 10:35am departure. 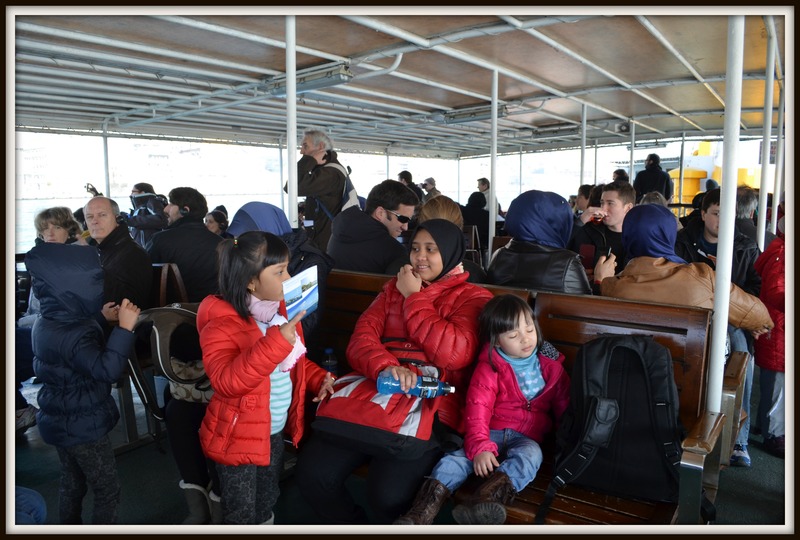 Since we were travelling in a large group, we decided to board the ferry about half hour earlier to ensure that we get a good seat for everybody on the top deck. It was a sunny day but still freezing and everyone had their gloves on. 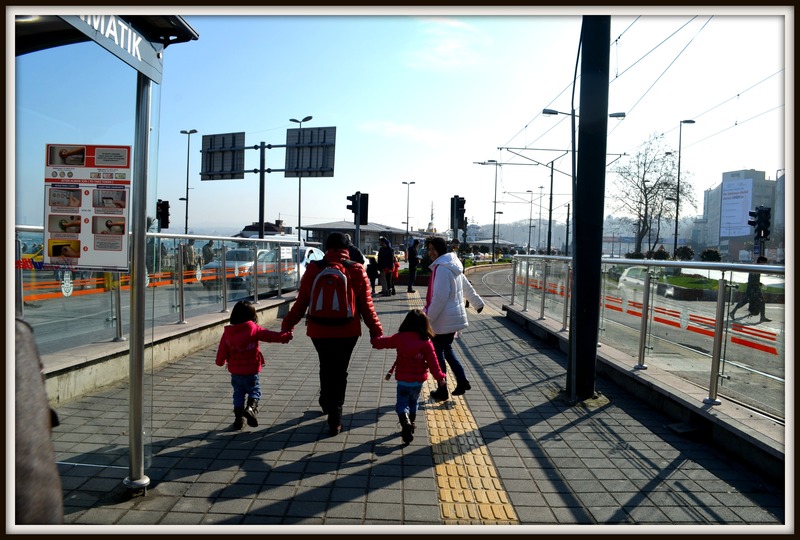 The journey from Eminonu to Anadolu Kavağı took about 1 1/2 hours. The scenery was amazing and it remind me of Amsterdam. 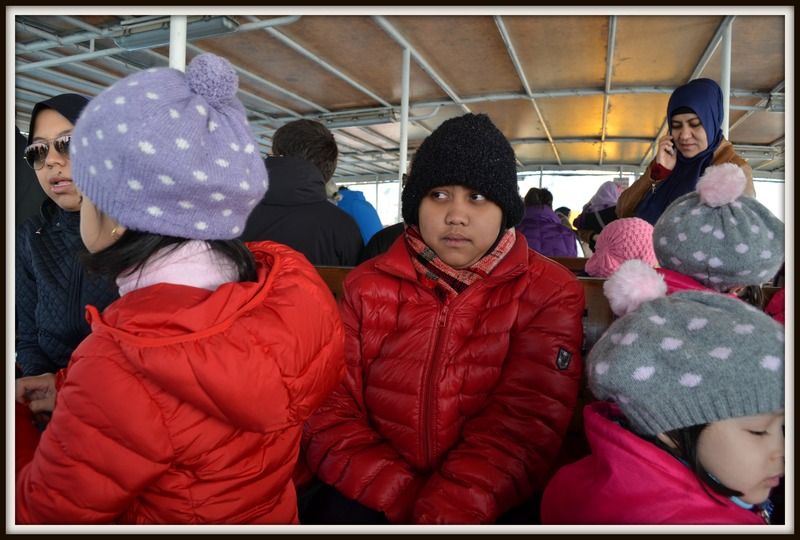 Half way through the journey we decided to go down to the middle deck as it was too cold for the kids hehehe. 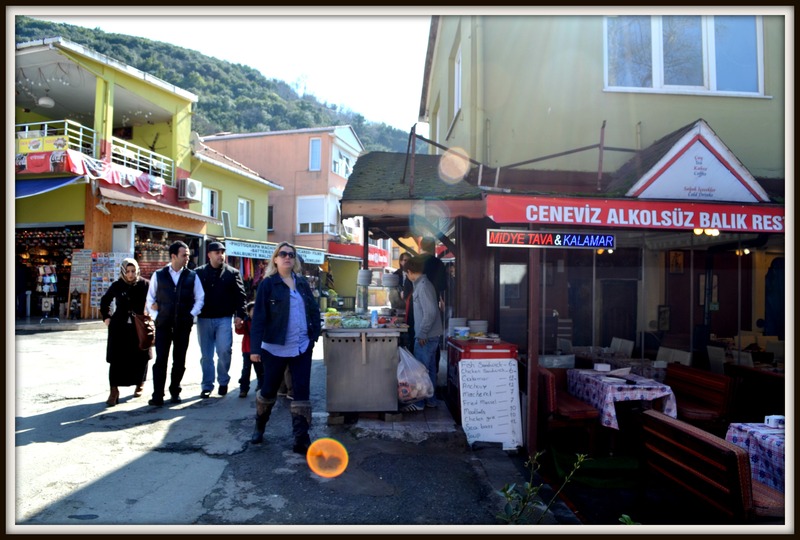 Anadolu Kavağı is a fishing village and lunch there is all about seafood. We did try a fish sandwich there and it was amazing but it would be better if we had a green chili with us hahaha (melayu.. mana boleh tak pedas). 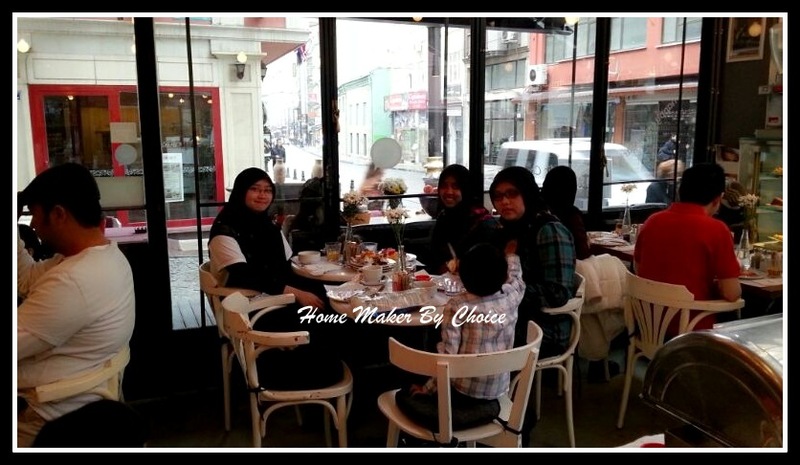 Besides the seafood, we also had waffle and ice cream and they were absolutely yummy. If you do not fancy seafood, there is one small shop near the mosque that sells chicken kebab… we did try the kebab too as our kids do not really fancy seafood and it was good. 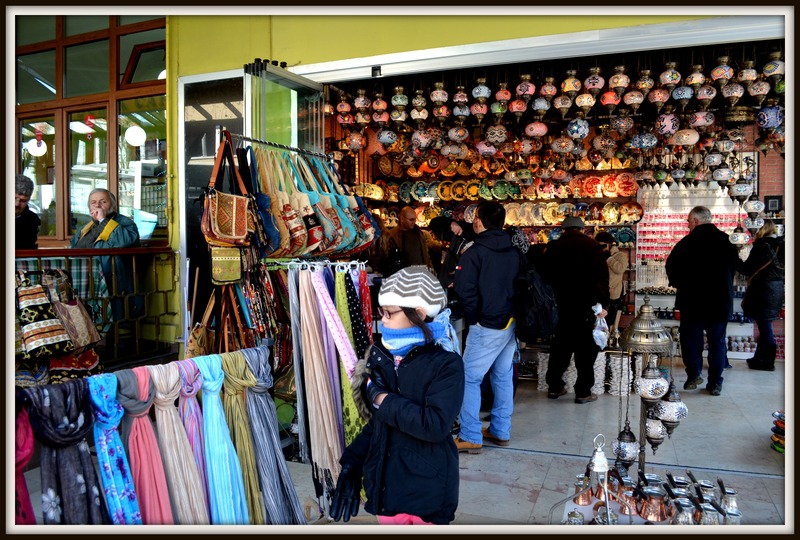 Here… the prices of the souvenirs are way cheaper than the shops in Istanbul… but the trick is you have to carry them around and into the ferry. I did buy a couple of small souvenirs that were easily being carried by my troop… this is one of the advantage of having 5 kids hehehe. So… by 14:45 we were already at the jetty waiting for the ferry and this time we immediately sit in the middle deck and I think everyone doze off immediately after the ferry left the jetty. 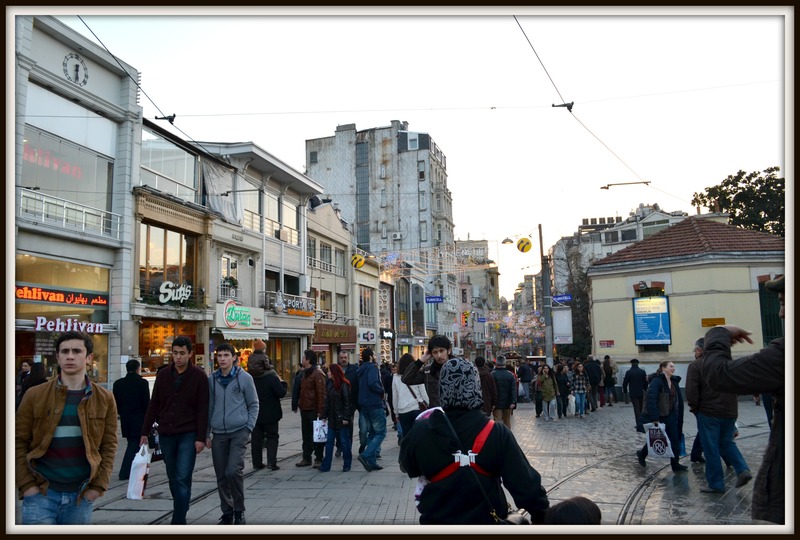 We reached Eminonu round about 16:30 and we proceed to Taksim Square and Istiklal Street. 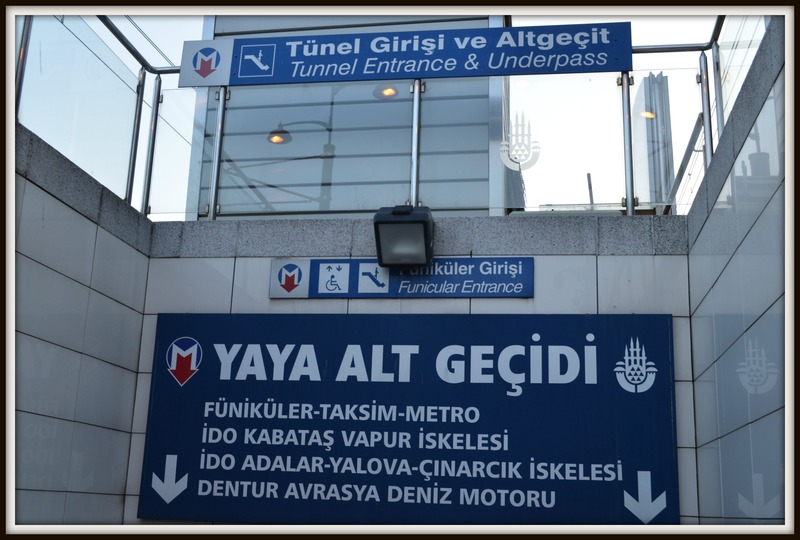 The street lays between Taksim Square till the “Tunel” area. The street is pedestranized and only a historical tram is running from one end to another. 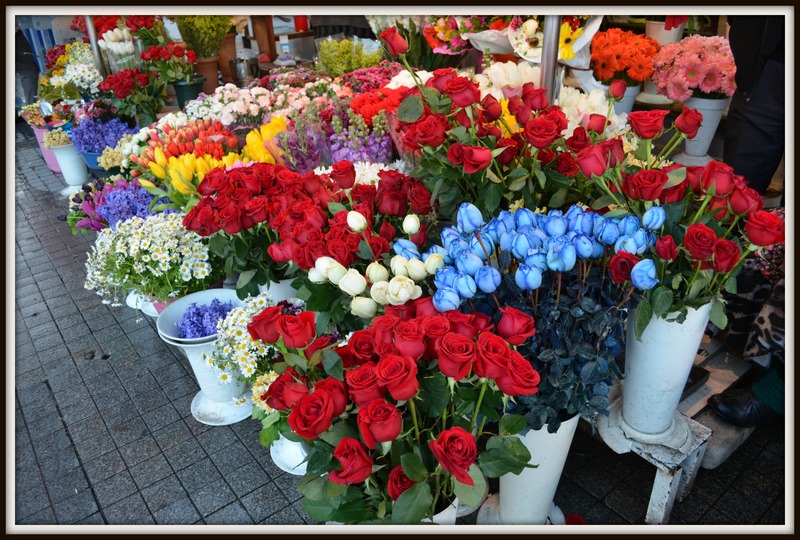 You can find hundreds of shops, cafes and restaurants. 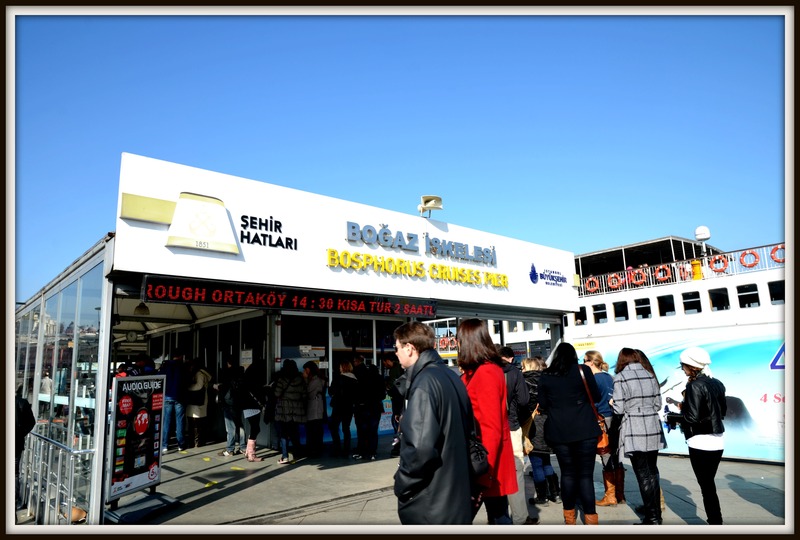 There were more than a dozen doner kebab places for you to choose from and my initial reaction was… ” one of these shops can definately end my search for my perfect doner kebab!”… unfortunately none meet my standard, so the search for Bebek Kebab continues…. 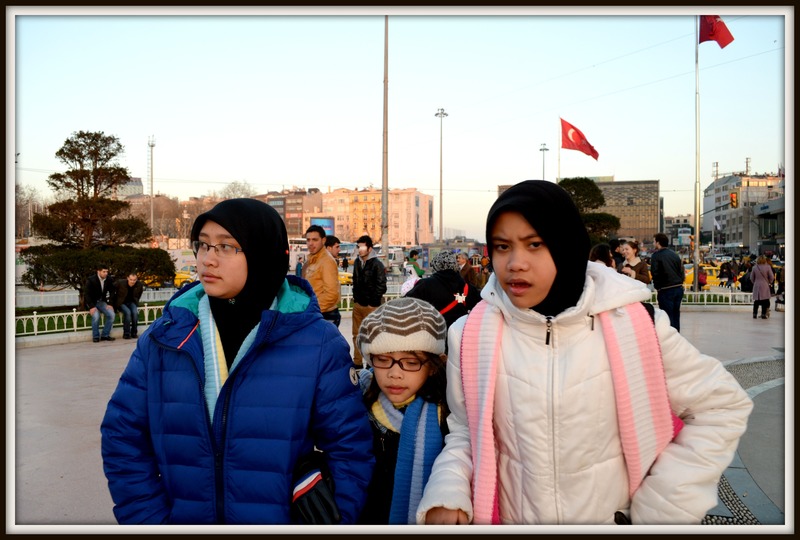 We walked from Taksim Square right to the Tunnel Area and there were so many people on the street even though it was late Sunday night. We didn’t buy anything but did stop at one of the restaurant for dinner. 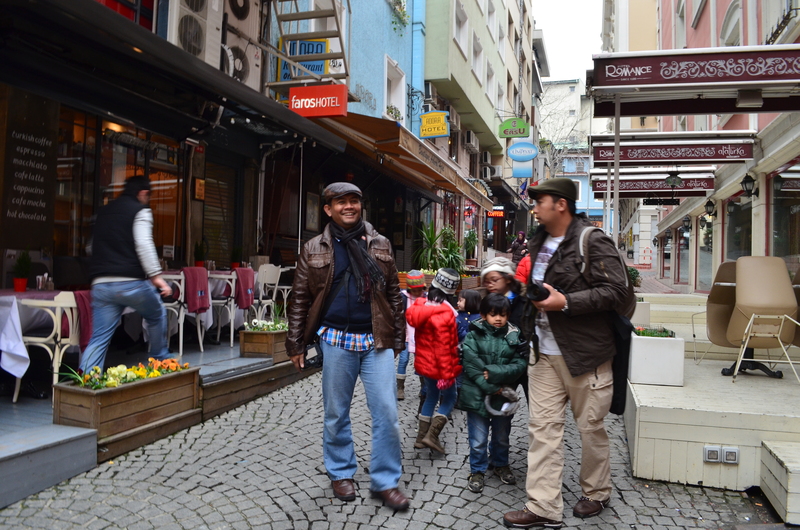 After dinner we took the one stop train back to Karaköy and from there we walked on the Galata Bridge to Eminonu. From there we took the tram back to the hotel. It was a long day for everyone especially the little ones but it was surely a good day. Assalamualaikum, how is everyone? Hope that you guys had a good Ramadan and Syawal. As for us the last 3 months were too hectic to describe….why? My other half got a job offer in Muscat,Oman and there were soo much issues that need to be address. Well… I’m currently in the city of Muscat and I’ll promise to write all about our “crazy” move maybe in the next one or two post. 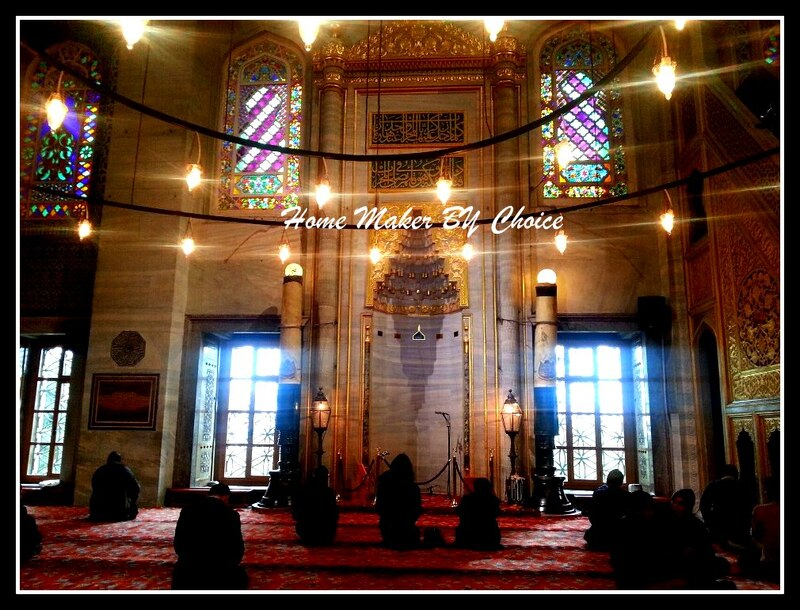 Meanwhile please enjoy our 2nd day tour of Istanbul. Catch you guys later. 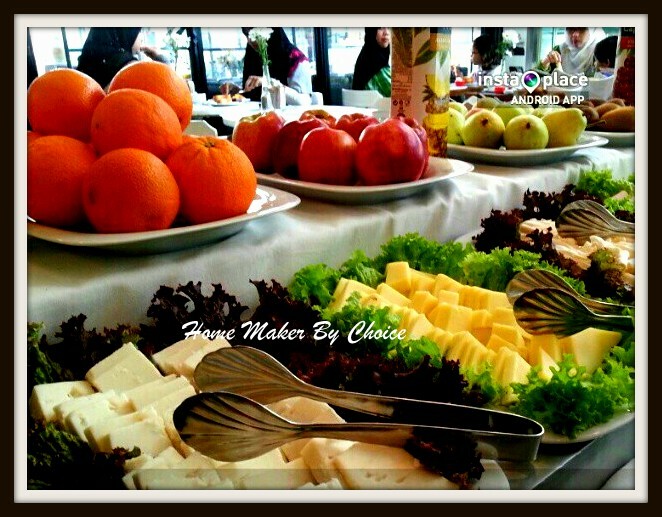 On day two, everyone was eager to start our tour so by 7:30 everyone was already at the breakfast table. 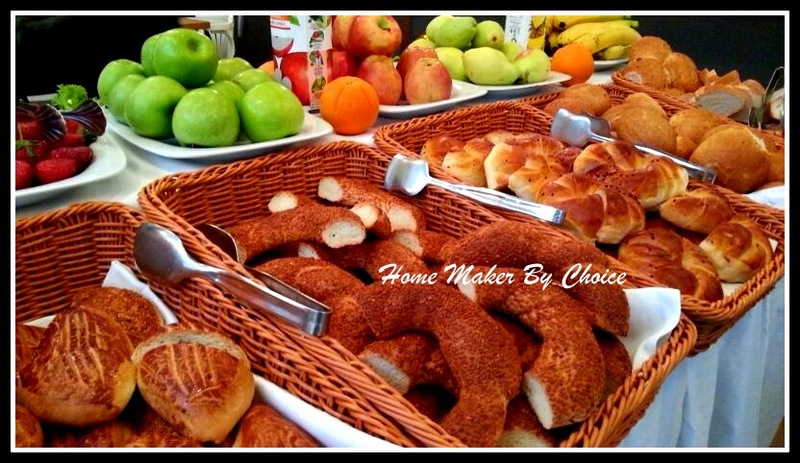 The hotel’s breakfast was available from 7 am to 10:30 am, there were lots of fresh fruits, variety of bread, jams and cheese to choose from. 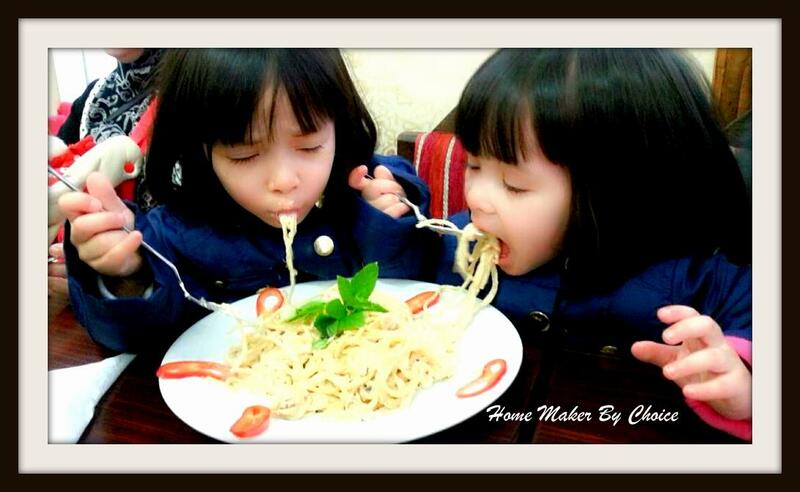 Our kids loved it and it kept us full till late afternoon. By the time we left hotel that morning, it was already 9:30, the temperature was still surrounding 11C and rain was forecast for that day. 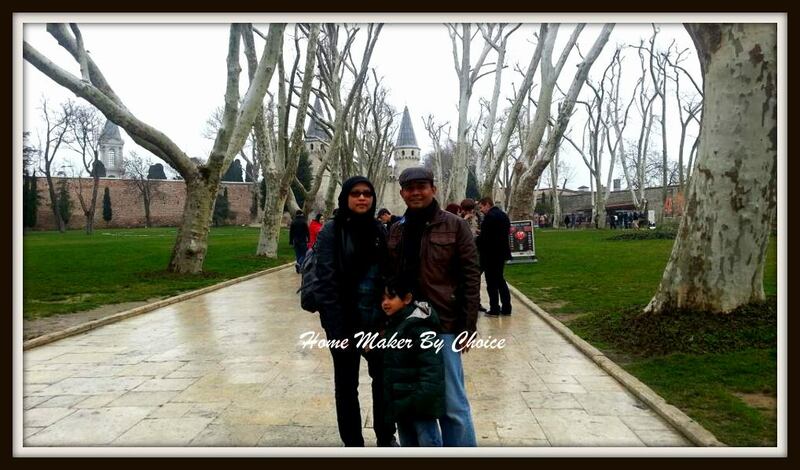 Our first destination was Topkapi Palace which was a walking distance from the hotel. 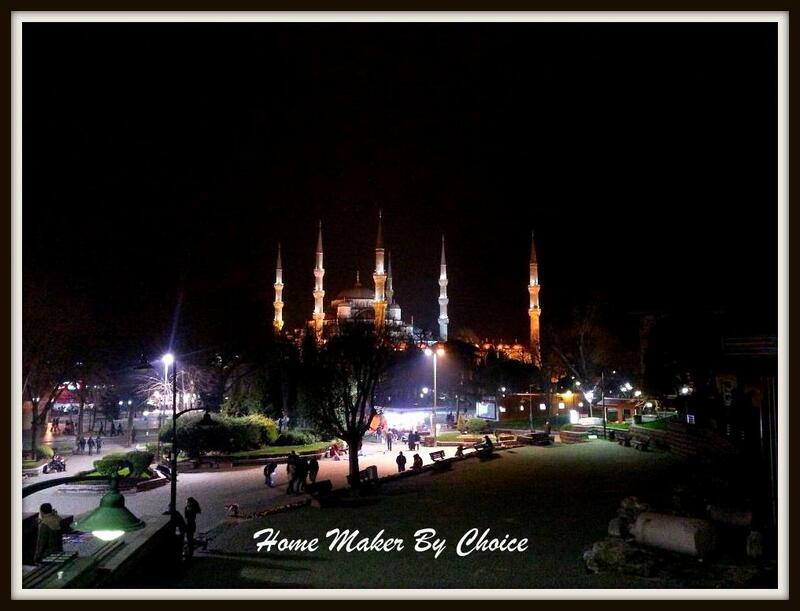 Most people enter the palace through the Imperial Gate which is located behind and to the right of the Hagia Sofia. 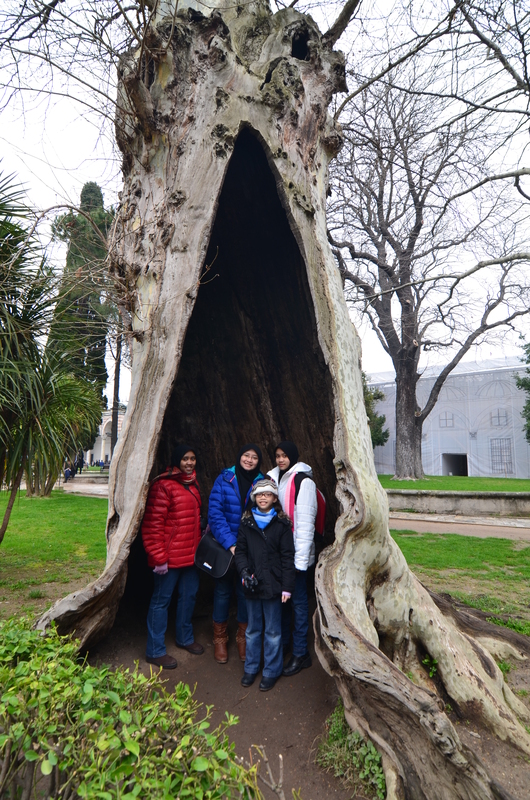 We however entered from the Archaeological Museum. 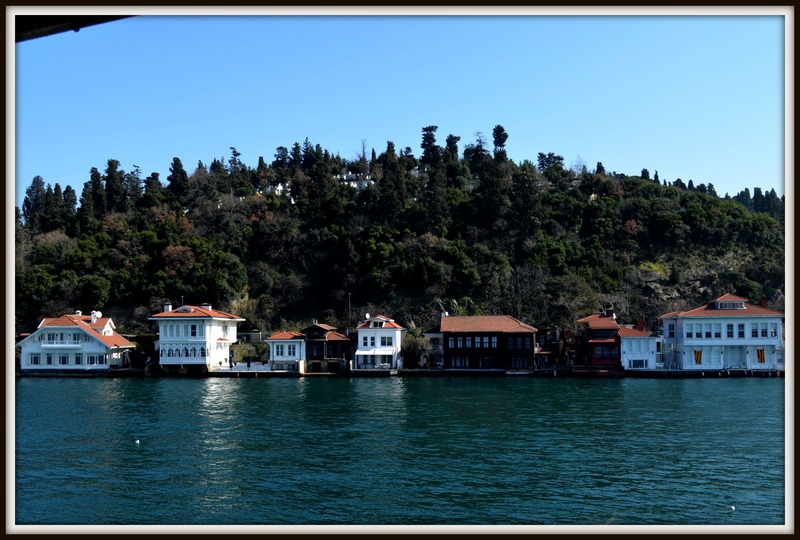 The opening time for the Topkapı Palace Museum is between 09:00 – 17:00 during winter (1 October- 15 April), and 09:00 – 19:00 during summer time. They are opened everyday except on Tuesdays. 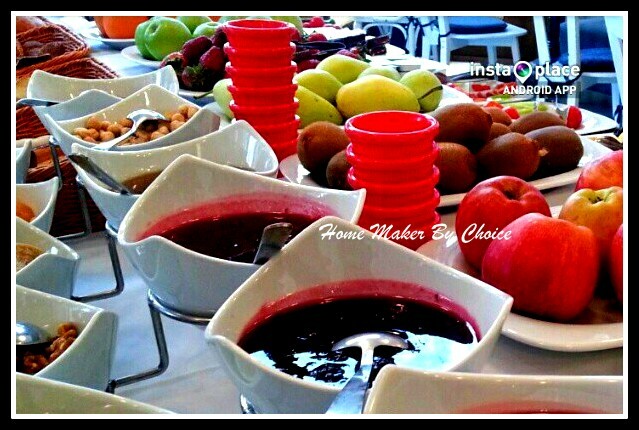 The admission ticket was 25TL for adult and children under 5 is free. 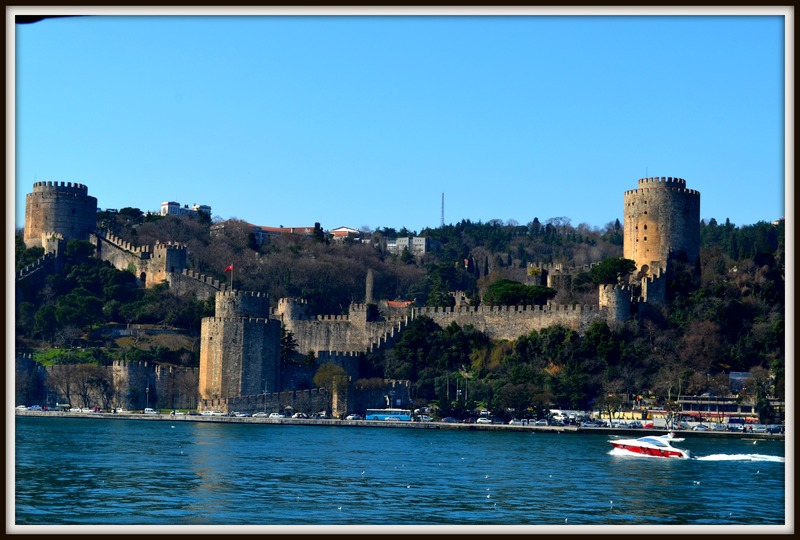 Topkapi Palace Museum is divided into few sections, once you passes Imperial gate (Bab-ı-Hümayün), you will find yourself in the First Courtyards of the Palace Complex where they held various ceremonies and processions. This is the only section that is free. Tickets booth to the rest of the courtyard sections is located here, just before you enter the Bab-ı-Selam or the “Gate of Salutations”. The Gate of Salutations leads the visitors into the palace proper; the gate structure has two grand towers which reminds me of Disneyland gate except with arabic writing that says بسم الله الرحمن الرحيم which means “In the name of God, the Most Gracious, the Most Merciful”. As you enter the Gate of Salutation, you will be subjected to a very tight security check… your bag, jackets and other stuff need to be scanned through the scanning machine just like the one in the airport. Upon passing this gate, you will enter the Second Courtyard. Here you can find exhibit rooms showing items from the Sultan’s treasury as well as imperial clothing and the Sultan’s arms and armor. Kids will find this extremely boring but I guess they just have to “bear with it”…. well.. actually not just kids… me included after a while hehehe. Most of the exhibition rooms do not allowed camera… there was this one guy tried to be smart and took some photos using his phone, out of nowhere came a guard and requested his phone and deleted his photos…. so you can try “curi-curi” ambik gambar but if you are unlucky, the guard will catch you. 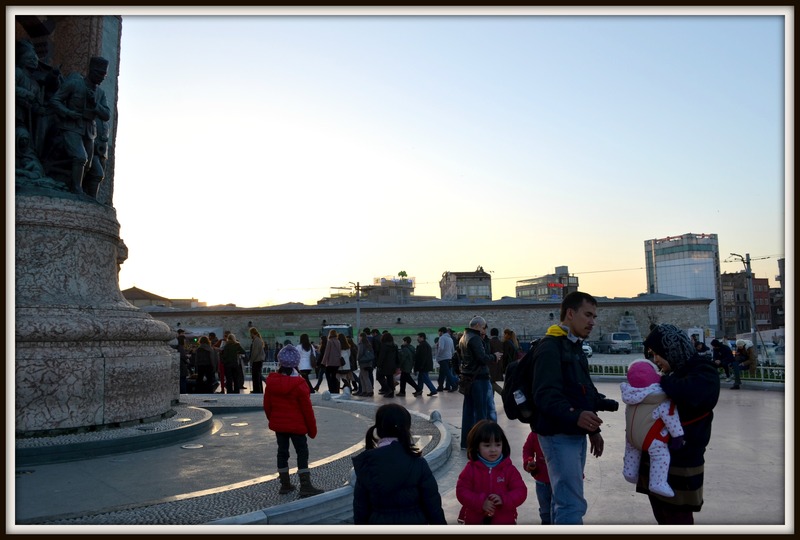 From the Second Courtyard you can enter the Third Courtyard through Gate of Felicity (Bab-üs Saadet). Third Courtyard is the heart of the palace. 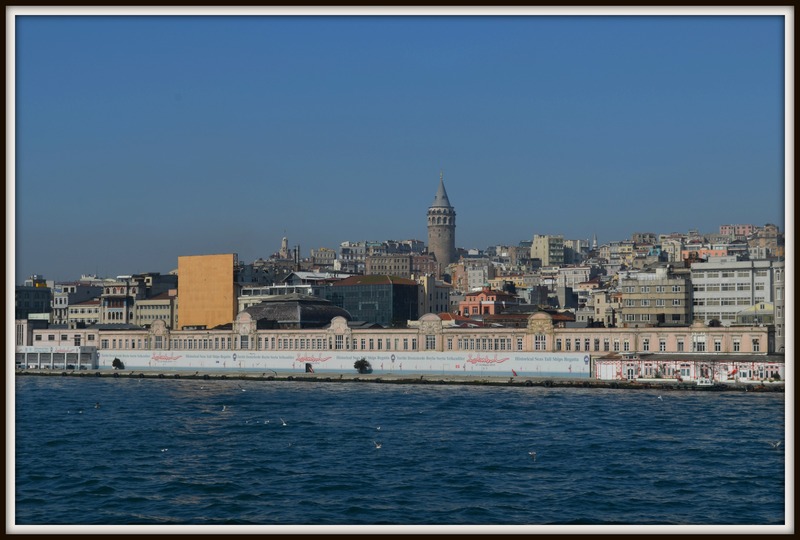 Here there are few exhibition hall and you can see a vast collection of works of art, jewelry, heirlooms of sentimental value and money belonging to the Ottoman dynasty. All in all, the best part of the visit to Topkapi palace was to be able to see Prophet’s beards, his sword and also the sahabahs’ (the companions of the prophet) sword. Something that you can’t see event if you visit Mecca and Madinah. Definitely worth going and walking through the whole complex. 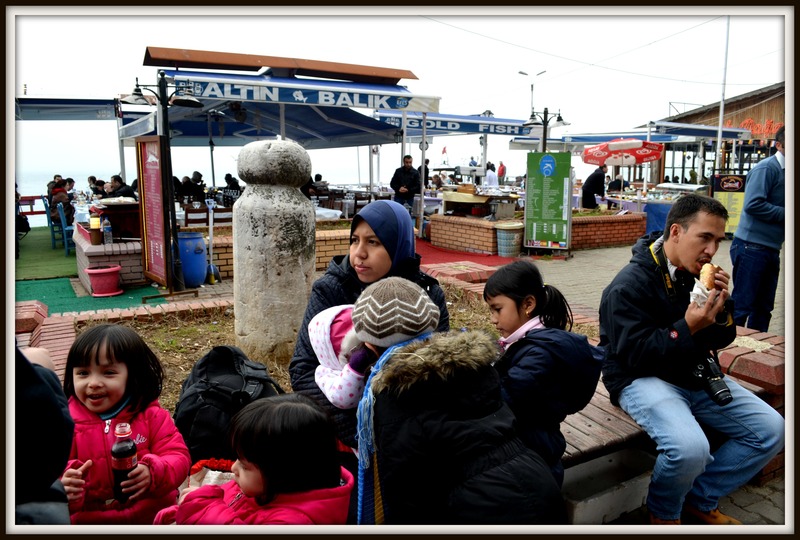 By the time we came out from Topkapi Place it was pass lunch time, so we took a quick break and sat down at the Sultan Ahmet Square. 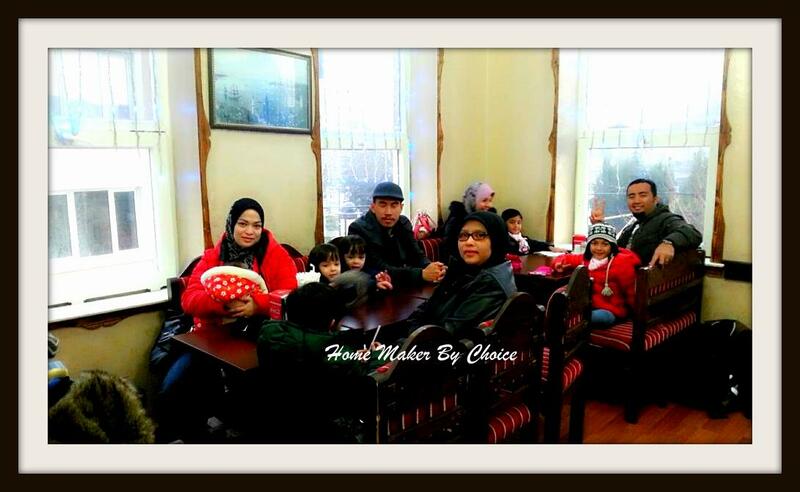 The weather was freezing, so we sat down for a hot cup of coffee and a sandwich. 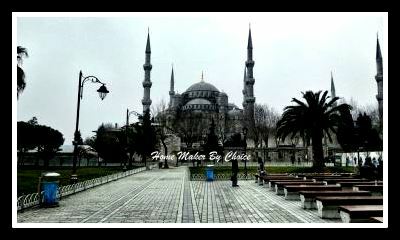 From there we then walked to the Blue Mosque for Dhuhr and Asr prayers. 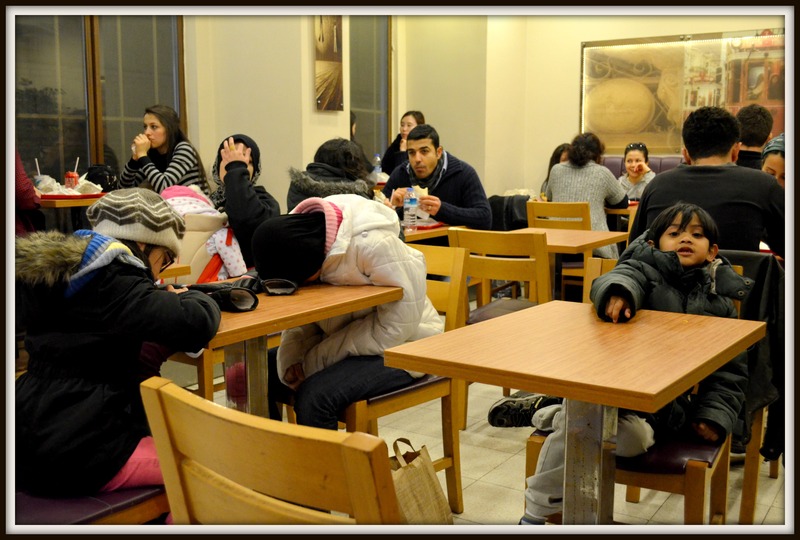 After the Asr prayers, the kids started to act up… well, who won’t… especially when the tummy is growling! So we went into the first kebab house we found hehehe. The food was good but it was nothing like the doner kebab that I was used to when I was studying in Sheffiled. 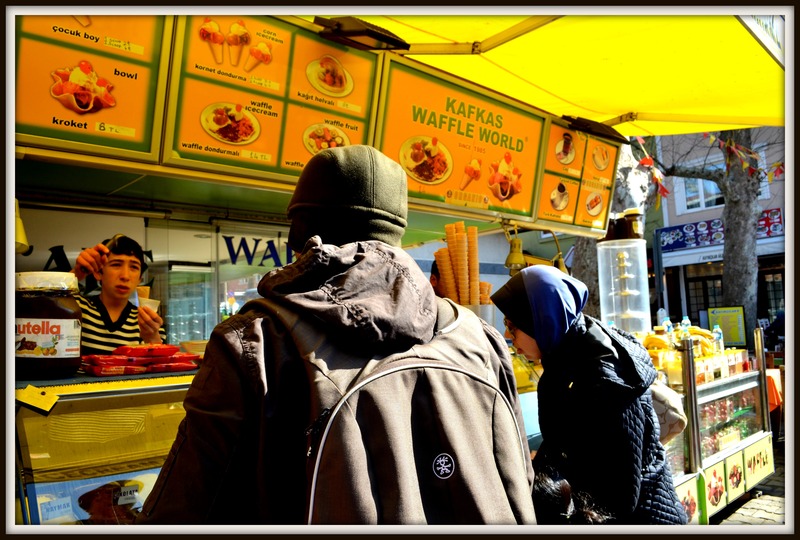 Back then (in 1991 hehehe) there was this one doner kebab shop (Bebek Kebab) in High Street that we always visit after getting our monthly allowance from the JPA… The kebab was juicy and tasty.. mmmm so delicious! We did try to find it when we were in Sheffield in 2010 but it was no longer there. 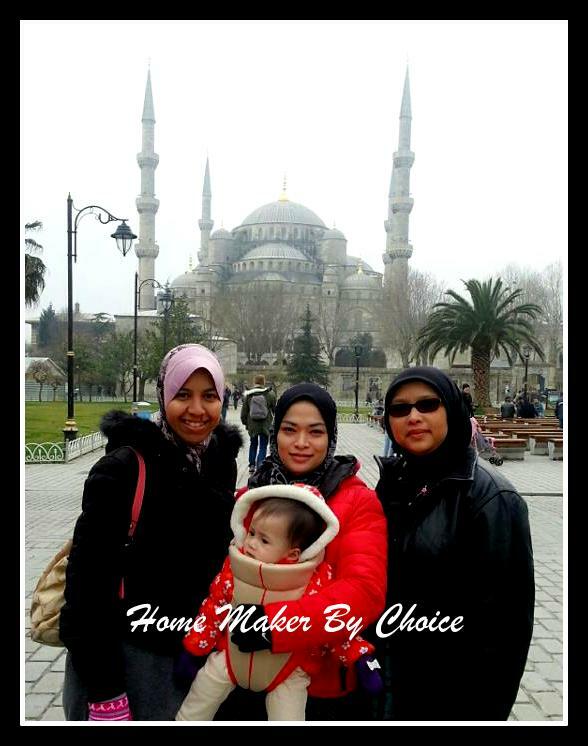 So, when we decided to visit Istanbul, the first thing that came to my mind was “Bebek kebab”… well, tak de rezeki lagi lah kata my other half. 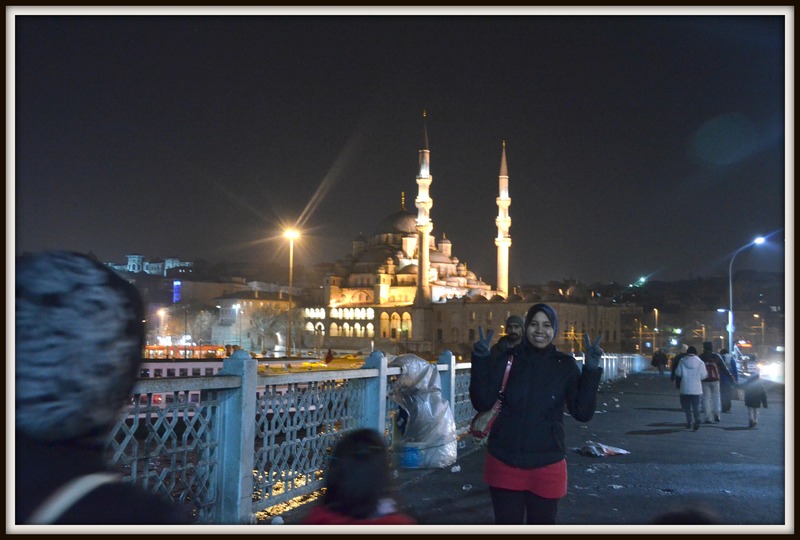 Originally, we planned to proceed to Grand Bazaar after that early dinner but looking at the time, we know that by the time we reached there it will be almost to the closing time, so we decided to just “lepak” and take some photos of the Blue Mosque at night. 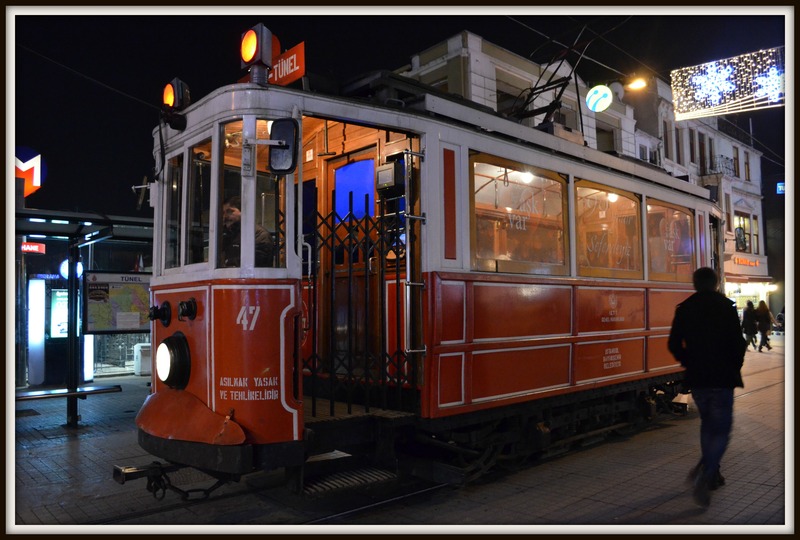 Oh.. did I tell you that the best way to travel in Istanbul is via a tram? Okay, what you need to do is just buy an Istanbul card and you dont have to worry about moving from one place to another. It’s just like London tube… just on smaller scale. One card can be used by multiple people, just swipe it over and over again and once the credit finish, just top it up. Super duper easy and the other thing I like about the tram was if you missed one, the next one is just two minutes away.